Limiting carbs might be a quick way to lose weight, but you’ll also lose nutrients. 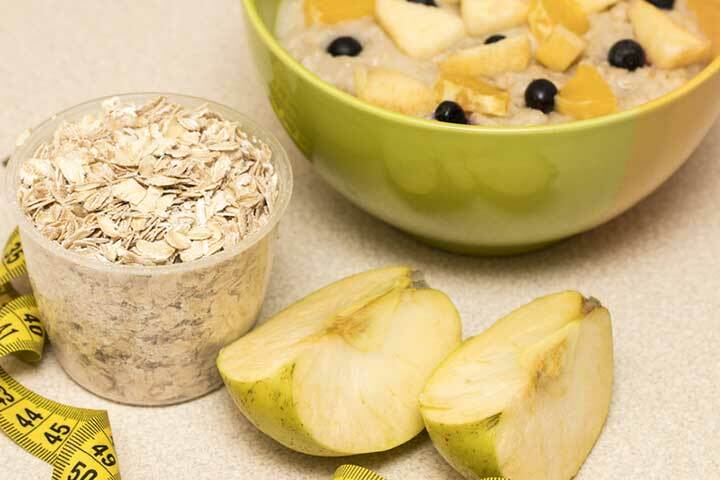 It’s better to learn how to incorporate healthy carbs into your diet. Stick with healthy carbs: Low-carb diets can rob you of nutrients that can protect you from serious illnesses. The word “carbohydrate”—or “carb” for short—has become somewhat of a taboo word over the past few years when discussing a healthy, balanced diet. Many believe that a low-carb diet is the key to weight loss and maintenance, but a healthy carb diet is, in most cases, a better choice. Let’s take a closer look at how our bodies utilize carbohydrates, the difference between “healthy” carbs and “unhealthy” carbs, how to incorporate the right amount and type of carbs into your diet, and some high-carb foods that are surprisingly good for you. Do you want to eat foods that help you feel better, stay slim, and avoid diet-related diseases? Do you want to be healthier by eating delicious “super” foods? If so, claim your FREE copy, right now, of the definitive nutrition guide on living a longer, healthier, happier life. What Are Carbs and Why Do We Need Them? Everyone needs carbohydrates in their diet at varying degrees because our bodies use them as an energy source. When we eat carbs, our bodies break them down into simple sugar, which is absorbed into the bloodstream and then moved into our cells by insulin, a hormone released by the pancreas. Carbs are separated into two categories: sugars (simple) and starches (complex). Generally, fruits and vegetables are the best sources of simple sugar because they naturally contain sugar along with other important nutrients, such as fiber, vitamins and minerals. Foods that contain added sugar (cookies, cakes, and other junk food) are often made from processed ingredients, contain too many carbs, and are low in nutrients. Starches include grains such as pasta, bread, rice, and crackers. Depending on how they’re processed, they could either be considered a healthy carb or an unhealthy carb. Refined grains, such as white rice and white bread, are stripped of their nutrients and fiber during processing, which makes them an unhealthy choice, while whole (or unrefined) grains—wheat, oats, quinoa, brown rice—are a better source of fiber and nutrients without the added calories. According to the USDA, the average woman between the ages of 19 and 50 should consume at least six ounce-equivalents of grains each day, while women over 50 should consume five ounce-equivalents. Both groups should consume three ounce-equivalents of whole grains each day. The average man between the ages 19 and 30 should consume eight ounce-equivalents of grains each day. The amount is reduced by one ounce-equivalent between 31 and 50 and again after the age of 50. Men between 19 and 30 should eat four ounce-equivalents of whole grains each day followed by 3.5 ounce-equivalents at age 31 and three ounce-equivalents at age 50. The USDA states that one ounce-equivalent of grains generally equals one slice of bread, one cup of ready-to-eat cereal, or one-half cup of cooked rice, cooked cereal, or cooked pasta. 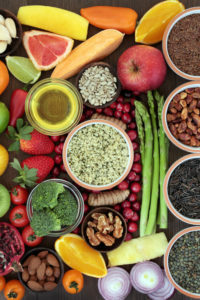 Based on what we’ve already learned about carbs and what the USDA recommends, it’s clear that whole grains, fruits, and vegetables can be considered as healthy carbs, but let’s look at foods that are considered on the borderline. These carb-rich foods are often labeled as “culprits” when the goal is to lose or maintain weight, but they actually fall under the “healthy carbs” category. White potatoes. Sweet potatoes get all the attention lately because they’re lower in carbs than their cousins, but white potatoes can be part of a healthy diet. They’re a good source of fiber (if you leave the skin on), vitamin C, and potassium. Just don’t cover them with loads of butter, sour cream, and bacon, which will increase the saturated fat content. Instead, try them steamed, roasted, or baked with some herbs, spices, and a dollop of low-fat Greek yogurt. Breakfast cereal. The key to keeping ready-to-eat cereals in your healthy diet is to choose varieties that are made of whole grains and that contain less than 10 grams of sugar per serving. Also, remember to watch your portions. Add fruit and nuts to boost your nutrient intake. Green peas. Yes, they’re high in carbs and sugar, but they’re also considered one of the healthiest vegetables out there. Green peas are high in fiber, protein, and antioxidants that can help prevent stomach cancer, Alzheimer’s disease, arthritis, and more. Sourdough bread. Don’t lump sourdough in with other white breads. It contains wheat that has been fermented with lactic acid bacteria and wild yeasts, which lowers its glycemic index. It’s still carb-heavy, though, so it’s best to eat it in moderation. If you’re still worried, try a whole-grain version. Corn. Try it grilled, boiled, or popped for a good source of fiber, vitamin C, and antioxidants—just go easy on the butter and limit salt. It’s true that all carbs are not created equal, but healthy carbs can be a daily part of your diet. In fact, low-carb diets are known to be void of essential nutrients that protect us from serious illnesses. When eating healthy carbs, avoid adding large amounts of added sugar or saturated fat and balance them with healthy sources of protein, such as lean meat, poultry, fish, seafood, and legumes. If you have a serious medical condition, such as diabetes, heart disease, or celiac disease, consult your doctor before adding high-carb foods to your diet. add, alzheimer, antioxidants, arthritis, bacteria, balanced diet, breakfast, calories, cancer, celiac, celiac disease, corn, diabetes, diabetes heart disease, diet, fiber, food, Glycemic index, health, healthiest vegetables, healthy balanced diet, healthy carbs, healthy diet, heart disease, hormone, insulin, low carb diet, nutrients, nuts, Pancreas, potassium, potatoes, protein, quinoa, refined grains, skin, sourdough bread, spices, stomach cancer, sugar, vegetables, vitamin, vitamin b6, vitamin c, vitamins, vitamins and minerals, whole grain, whole grains, yogurt. Isn’t insulin’s job to also store excess glucose as fat? We dont actually need much glucose in the blood at any one time. It also seems to me then that if insulin remains high to deal with copious carb intake, the reverse function where the body utilizes the fat in storage, turning it back into blood glucose for use (fat burning), can never be optimized. Elevated insulin also drives cravings – consider how quickly you’re hungry again after eating a rice-focused Chinese meal. Thus elevated insulin is implicated in obesity & its associated conditions due to increased fat storage, inhibited fat burning, and stimulated craving — much more than any moral failing of “willpower.” So why do we want constantly elevated insulin levels again? My understanding is that very few people have so little body fat that the glucose levels we need can’t be maintained from those stores. Further, ketone bodies are known to be an adequate fuel source, some even believe superior to glucose. How did the Inuit survive after all with such low carb intake? It’s curious that there are “essential” amino acids, “essential” fatty acids, and “essential” proteins, but there’s no such thing as an “essential” carb. We do need fiber and micronutrients, but it’s really questionable that we need carbs (per se) in the amounts advised. Very helpful. Have added a lot of healthy foods to my grocery shopping list — especially high fiber veggies.